What is the Best Form of Online Advertising for Your Business? When linking design to business, there are various important areas that should be covered – such as great logo design and interesting and unique graphic design. But, these design elements pertain, crucially, to visual representation, meaning that the task of realising their full marketing potential is less involved than that pertaining to website design. Web design is the point at which precise, technical programming meets artistic graphic design. Together, these elements amalgamate to produce a piece of functional art that serves to increase marketing reach and strengthen a company’s client base. However, good website design must involve far more than attractive visual elements in order for a website to fulfil these purposes. 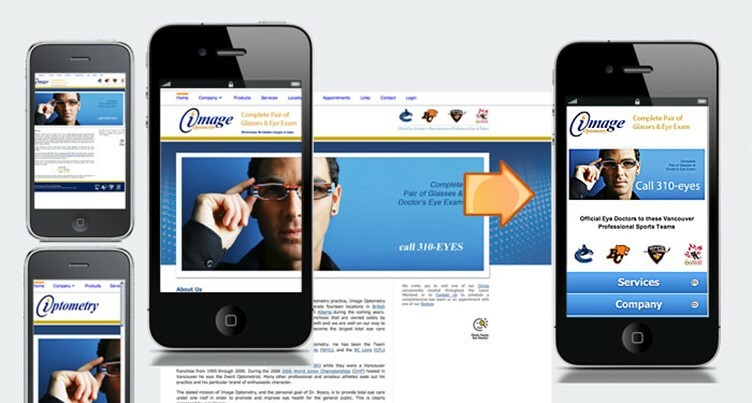 Websites must not only dazzle users but also present them with an enjoyable browsing experience. And, with the majority of web browsing taking place on mobile devices at present, creating a good user experience should start with mobile optimisation. Mobile users have different objectives from desktop users. They want information more readily, and are more likely to make impulse purchases. As a result of this, their attention spans are shorter. But this helps you make the path to purchase shorter, which certainly helps your business’s bottom line. Many people use mobile to scout interesting sites and then return to them later on desktop. This means that if your site isn’t optimised for mobile, you risk having those users never return. However, if your site delivers on mobile, you’re more likely to have the same users access your site on multiple devices. The reason that mobile search is so popular is the fact that users can search the internet while doing other things, like watching TV or sitting in traffic. This means that websites that aren’t mobile-friendly are missing out on a huge amount of web traffic. As mentioned, as much as 80 percent of shoppers tend to buy on impulse when shopping on mobile devices. This could mean a higher conversion rate for your company provided your site loads well and displays properly on mobile. Logo design and the like are extremely important for presenting the right image for your company, visually speaking. But, when it comes time to turn users into fully-fledged customers, you need a mobile-friendly site designed by the best in the business. So, to ensure that your company capitalises on the amount of web traffic available out there, contact Just Perfect today!